Here in the beautiful county of Cumbria, with its farming heritage, there has been a long tradition of cheese being made by hand, on local farms. 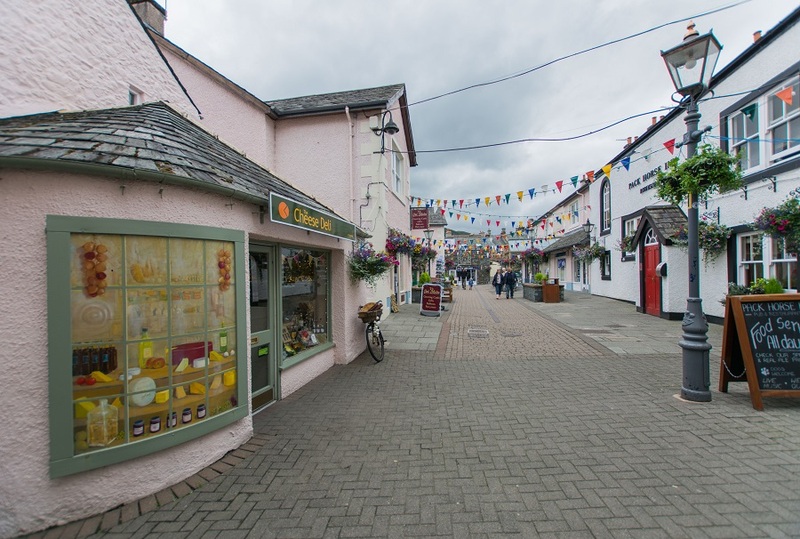 At The Keswick Cheese Deli, we believe that Cumbria has so many fantastic cheeses to choose from, that we specialise in stocking Cumbrian-made cheeses. We have an extensive range from local cheese makers at Thornby Moor Farm at Wigton, award winning Appleby Creamery in The Eden Valley and The Lake District Cheese Company from Aspatria. Our range then includes artisan cheeses made in Lancashire, including Butlers Farm (makers of Blengdale Blue and Cobble Tasty), and Sandham’s (makers of the ever-popular Sandham’s Creamy and Sandham’s Crumbly). From Yorkshire, we have an extensive range of cheeses from The Hawes Wensleydale Creamery; including their fantastic Wensleydale Blue. We also have a selection, choosen from around the UK, including the excellent Colston Bassett Blue Stilton and Cornish Yarg. Our specialised international cheeses, include an excellent Parmigiano Reggiano, Manchego and French Raclette. Our whole range of well over 90 cheeses, covers both pasteurised and unpasteurised, cows’ milk and a range of ewes’ and goats’ milk cheeses. These are especially popular with allergy sufferers. To complement our cheeses, we also stock a variety of local cooked and cured meats, olives, chutneys, crackers and specialised gifts, including cheese gift hampers of various sizes. Our shop maybe small but, we are bursting at the seams with a huge array of local and British products to choose from. This enables us to give our customers a unique and enjoyable shopping experience, with the personal touch.